The German company's share price plunged after a jury ruled weedkiller Roundup was a "substantial factor" in an amateur gardener's cancer. The threat to German chemical giant Bayer and subsidiary Monsanto from US litigation swelled Wednesday, when its share price plunged after a jury ruled weedkiller Roundup was a "substantial factor" in an amateur gardener's cancer. Jurors gave their verdict a week after beginning deliberations. 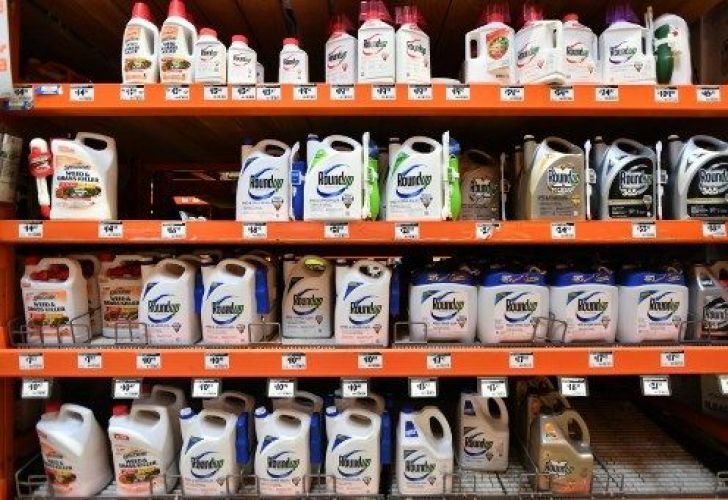 Their task was to decide whether the ingredient glyphosate -- the world's most widely used herbicide -- was a "substantial factor" in the non-Hodgkin's lymphoma of Edwin Hardeman, 70, who sprayed Roundup on his property for 25 years. A wave of lawsuits has put pressure on Bayer since its $63-billion takeover of Monsanto last year, spooking investors who worry damages payouts could quickly mount into the billions if the firm fails to convince courts its product is safe. Chief executive Werner Baumann said last month the company faced a total of 11,200 US cases over Roundup and its active ingredient glyphosate, a herbicide key to Monsanto's business model that has come in for intense scrutiny around the world. That mass of lawsuits meant markets shuddered after a federal court finding Tuesday that Roundup was behind the non-Hodgkin's lymphoma suffered by 70-year-old Edwin Hardeman, who used the product for decades on the garden at his California home. The second major legal setback in a year set the Leverkusen-based group's stock ebbing well into Wednesday trading after an initial plunge. By 11:20 am in Frankfurt (1020 GMT), the shares were trading down 13.2 percent at US$68.71, dragging down the DAX index of blue-chip German shares. Tuesday's "decision... has no impact on future cases and trials because each one has its own factual and legal circumstances," Bayer said in a statement, adding that it stood behind science it says demonstrates glyphosate is safe. But IG analyst Chris Beauchamp told AFP the prospect of thousands of plaintiffs potentially being awarded tens of millions of dollars each means investors "start doing the numbers, and it doesn't look very pretty at all". "Instead, it is clear from Monsanto's actions that it does not particularly care whether its product is in fact giving people cancer," they alleged. Its glyphosate weedkillers Roundup and Ranger Pro substantially contributed to the terminal illness, they judged. Bayer has filed an appeal, betting it can do better at convincing judges in appeals courts than sceptical juries in lower tribunals. The two US cases have turned on a 2015 finding from the International Agency for Research on Cancer (IARC), an arm of the World Health Organization, that Roundup is "probably carcinogenic". "Regulatory authorities around the world consider glyphosate-based herbicides as safe when used as directed," the group said in its statement, highlighting "800 rigorous studies" of glyphosate's effects. Its confidence in its evidence and its legal strategy may not be enough to convince investors to hold on through the turbulence, IG's Beauchamp said. "If you are expecting stock markets as a whole to do better then you don't want to be stuck with the one company that is facing huge legal claims," he judged. "A lot of (investors) will probably decide to cut back exposure quite dramatically and see how it plays out."